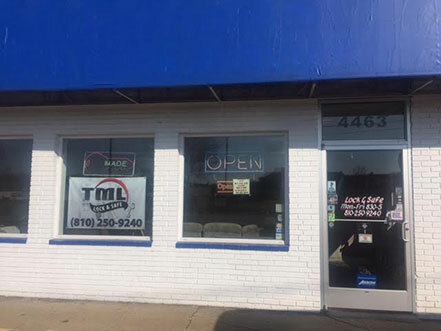 For more than 30 years, TML Lock & Safe, a family owned & operated business, has been helping residents, business owners, & motorists of Flint, Michigan, and the surrounding areas with all their locksmith needs. We are pleased to provide a full range of locksmith services: from being locked out of your car, home or business, to needing a duplicate key or a safe opened or combination changed. We are your ONE-STOP shop – you can come to us or we will come to you! At TML Lock & Safe we understand that feeling of panic when you realize you have locked your keys inside your car or when you cannot find your keys. However, there is no need to worry– with TML Lock & Safe we offer the best solutions and mobile or in-shop service around for those tough times! With over 30 years of professional experience in Flint, Michigan, and surrounding areas, we know you will be satisfied with our prompt, trustworthy mobile service. 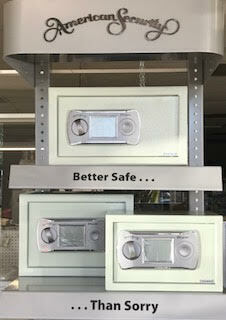 From auto lockouts to help with a safe, TML Lock & Safe is here to assist you night or day. Residential, Commercial or Automotive– get in touch with us today for exceptional service. TML Lock & Safe provides emergency service in Flint, Michigan, and surrounding areas! No matter what time of day your problem occurs, just give us a call and if we don’t answer, leave a message and we will get back to you! We can come to you with our mobile locksmith services and you can call us any time of day for emergencies!